- Robinson, S lined out to 3b (3-1 BBKB). - Yue, X singled to center field (2-1 KBB). - Peterson, A out at first c to 2b, SAC, bunt (0-1 K); Yue, X advanced to second. - Rhodes, J struck out swinging, out at first c to 1b (0-2 KFS). - Li Li, L singled to pitcher (0-0). - Draper, V singled to left center (0-0); Li Li, L advanced to second. - Qi, L popped up to 3b (0-2 FK). - Jia, C reached on a fielder's choice to shortstop (0-2 KF); Draper, V out at second ss to 2b; Li Li, L advanced to third. - Li Li, L out at third c to 3b, caught stealing, picked off. - Yang, C grounded out to 2b (1-2 FKB). - Miller, C homered to right center, RBI (1-1 KB). - Yao, L singled to shortstop (2-1 BBF). - Xinyue, J struck out swinging (1-2 BKFS). - Huaining, Y struck out looking (1-2 FKBK). - Mengmeng, L hit by pitch (1-2 KBF). - Qianwen, X pinch ran for Mengmeng, L.
- Min, R out at first 3b to 2b, SAC, bunt (0-1 K); Qianwen, X advanced to second. - Jia, X singled up the middle, advanced to second on the throw, RBI (0-0); Qianwen, X scored. - Mengyan, W lined out to 2b (1-2 KKB). - Huan, L singled up the middle (1-1 BK); Jia, X advanced to third. - Li Li, L grounded out to ss (0-0). - Qianwen, X to 3b. - Robinson, S singled to left field (1-2 BSF). - Yue, X grounded out to ss (3-2 BSBBF). - Peterson, A hit by pitch (1-1 KB). - Rhodes, J singled to second base (1-0 B); Peterson, A advanced to second, advanced to third on a throwing error by 2b; Robinson, S advanced to third, scored on the error. - Rhodes, J stole second; Peterson, A stole home. - Yang, C struck out swinging (2-2 BBSFFS). - Yao, L hit by pitch (1-0 B); Miller, C advanced to second; Rhodes, J advanced to third. - Fei Fei, L to cf for Yang, C.
- Yao, L to rf. - Draper, V grounded out to 3b (3-2 BFKFBB). - Qi, L grounded out to 3b (0-0). - Jia, C singled to center field (3-2 BBFBK). - Qianwen, X walked (3-2 BBKBSFB); Jia, C advanced to second. - Min, R flied out to rf (0-0). - Minghan, Y to rf for Li Li, L.
- Qi, L to 2b. - Kailin, X to c for Mengyan, W.
- Watson, E to p for Walljasper. - Huaining, Y struck out looking (1-2 FFBK). - Robinson, S lined out to 3b (0-0). - Yue, X out at first 3b to 2b, bunt (0-0). - Jia, X grounded out to 2b (2-0 BB). - Kailin, X singled up the middle (0-0). - Kailin, X advanced to second on a passed ball. - Huan, L reached on a fielder's choice to pitcher, advanced to third on a throwing error by 3b (1-1 KB); Kailin, X out at third p to 2b to 3b. - Minghan, Y walked (3-1 BBBKB). - Ying, L pinch hit for Draper, V.
- Ying, L reached on a fielding error by 2b (1-2 KFB); Minghan, Y advanced to second; Huan, L scored, unearned. - Qi, L reached on a fielder's choice to shortstop (1-1 KB); Ying, L out at second ss to 2b. - Minghan, Y to lf. - Ying, L to rf. - Peterson, A hit by pitch (0-0). - Rhodes, J hit by pitch (1-0 B); Peterson, A advanced to second. - Fei Fei, L reached on a fielder's choice to shortstop, bunt (0-0); Rhodes, J advanced to second; Peterson, A out at third ss to 3b. - Miller, C walked (3-1 BBBFB); Fei Fei, L advanced to second; Rhodes, J advanced to third. - Walljasper to p for Watson, E.
- Yao, L singled to center field, RBI (0-1 K); Miller, C advanced to second; Fei Fei, L advanced to third; Rhodes, J scored. - Yao, L advanced to second on a wild pitch; Miller, C advanced to third; Fei Fei, L scored. - Junyi, X struck out looking (2-2 KBKFBK). - Siyu, Y pinch hit for Huaining, Y. - Yao, L advanced to third on a wild pitch; Miller, C scored. - Siyu, Y walked (3-2 SKBBBB). - Huaining, Y to lf for Siyu, Y. - Huaining, Y advanced to second on a wild pitch. - Robinson, S singled through the left side, advanced to second on the throw, 2 RBI (1-2 BKK); Huaining, Y scored; Yao, L scored. - Robinson, S advanced to third on a throwing error by lf. - Yue, X grounded out to 2b (2-0 BB). - Jia, C singled up the middle (2-0 BB). - Mengmeng, L to 3b for Qianwen, X. - Mengmeng, L grounded out to p (2-2 BSKB); Jia, C advanced to second. - Min, R singled up the middle, RBI (1-0 B); Jia, C scored. - Rupp, R to p for Fan, P.
- Jia, X reached on a fielder's choice to second base (0-0); Min, R out at second 2b to ss. - Kailin, X grounded out to 3b (0-0). - Min, R to c.
- Kailin, X to dh. - Xinxing, Z to p for Walljasper. - Peterson, A struck out looking (2-2 KBBFK). - Rhodes, J popped up to ss (0-1 F). - Fei Fei, L singled to left center (0-1 K). - Miller, C flied out to lf (3-1 BFBB). - Huan, L walked (3-1 BKBBB). - Minghan, Y struck out looking (2-2 BKFBFFK). - Ying, L struck out swinging (2-2 KBFBFS). - Qi, L flied out to cf (0-2 KK). - Yining, L to lf for Minghan, Y. - Yan, Z to rf for Ying, L.
- Yao, L singled to shortstop (0-0). - Xinyue, J singled to left center, advanced to second on a fielding error by cf (0-0); Yao, L advanced to second, advanced to third on the error. - Huaining, Y singled to catcher (1-0 B). - Robinson, S flied out to lf, SF, RBI (2-0 BB); Huaining, Y advanced to second; Xinyue, J advanced to third on a throwing error by lf; Yao, L scored. - Yue, X struck out swinging (0-2 KKS). 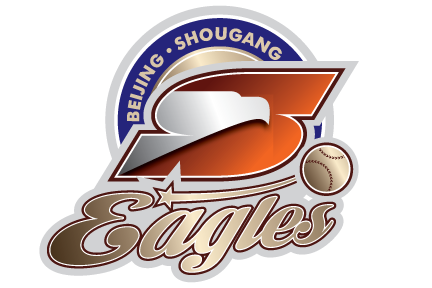 - Peterson, A singled to shortstop, RBI (3-1 BBSB); Huaining, Y advanced to third; Xinyue, J scored. - Rhodes, J singled to center field, RBI (2-2 BKBF); Peterson, A advanced to second; Huaining, Y scored. - Fei Fei, L grounded out to 2b (1-0 B). - Jia, C grounded out to 1b unassisted (2-2 FKBB). - Mengmeng, L struck out looking (0-2 KSK). - Min, R struck out swinging (0-2 KKS).